Look through your scraps and pick some special ones to make this Scrap Fabric Owl. If you are making this for a decoration fill it with dry beans so it will stand up. If you are making it as a toy stuff it with polyester filling and use felt to make the eyes. This is a fun beginning sewing craft. If you want to make a larger owl, just enlarge the pattern. Print and cut out owl template where indicated using scissors. 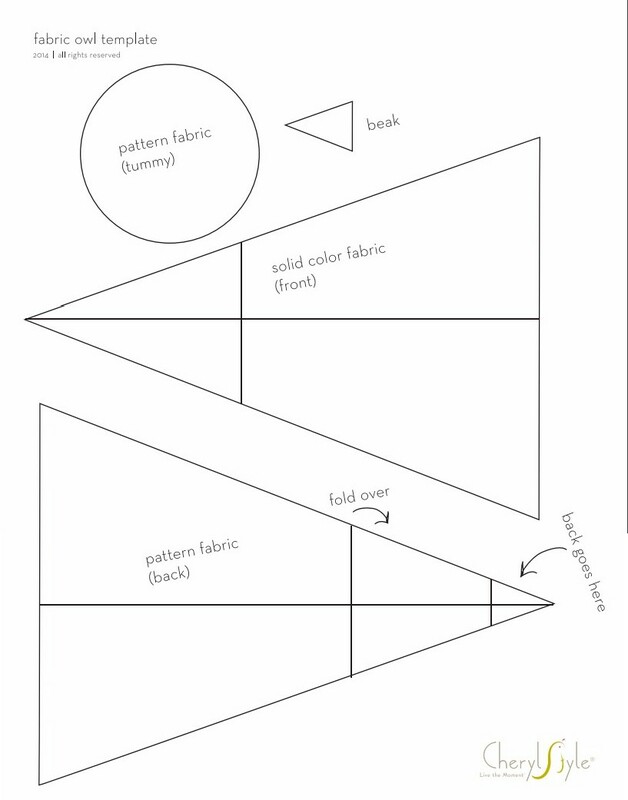 Align pattern pieces on fabric, securing with pins if necessary, and cut out. Using embroidery thread and needle, sew the front and back pieces of the owl together using a simple stitch, leaving the bottom open. Face the back of the owl towards you, place the beak at the top and adhere using fabric glue. Flip the body over then sew buttons on as “eyes.” Fold the fabric over as indicated on the printable then glue in place. Stitch the round “tummy” onto the front of the owl, just below the buttons. Fill the body with stuffing or dry beans then stitch around the circumference of the base. Once you have come full circle, pull the thread tightly, knot and voila! You have a cute baby owl.